“There’s a lot of people that helped make Daytona a reality, but without Standard Sand & Silica I would not have the opportunity tofulfill my greatest racing accomplishment yet,” he added. 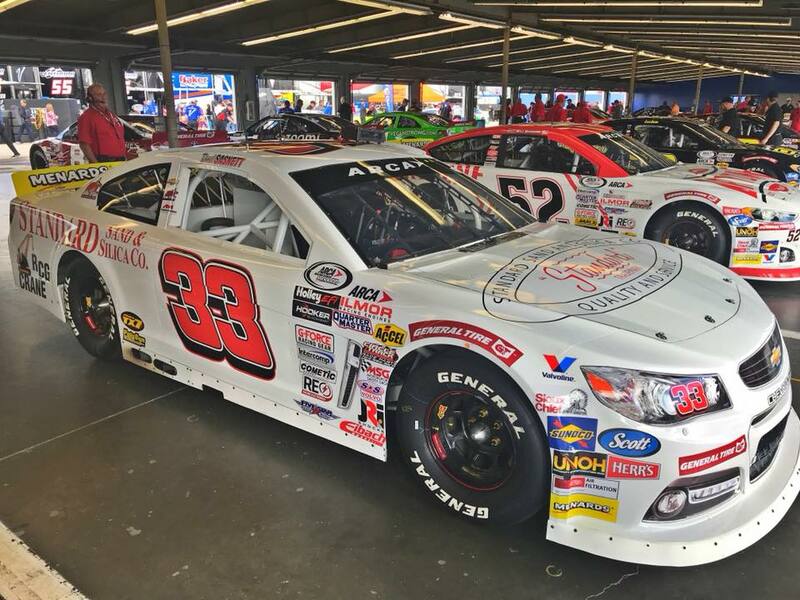 The Lucas Oil Complete Engine Treatment 200 driven by General Tire (80 laps / 200 miles) is the first of 20 races on the 2018 ARCA Racing Series presented by Menards schedule. Practice begins Thurs., Feb. 8 with a two-hour session from 4:00p.m. – 6:00 p.m. A final practice session has been etched in on Fri., Feb. 9 from 9:30 a.m. – 10:30 a.m. Group qualifying is set for later in the day at 3:30 p.m. The season-opener for the 66th consecutive ARCA season is set to take the green flag on Sat., Feb. 10 shortly after 4:30 p.m. The event will be televised live on FOX Sports 1 (FS1), while ARCARacing.com will stream live timing and scoring throughout the entire weekend festivities.